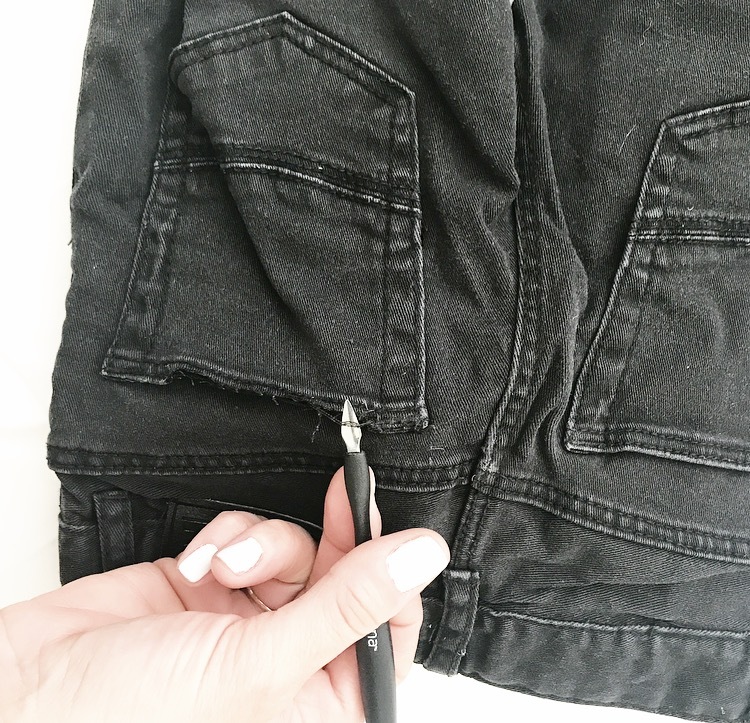 Don't buy new summer shorts for your kids, make them!!! Do you have old pairs of joggers or jeans kicking around that are too short in length for your kids now? Well, keep reading to make your own trendy summer shorts without paying a cent. 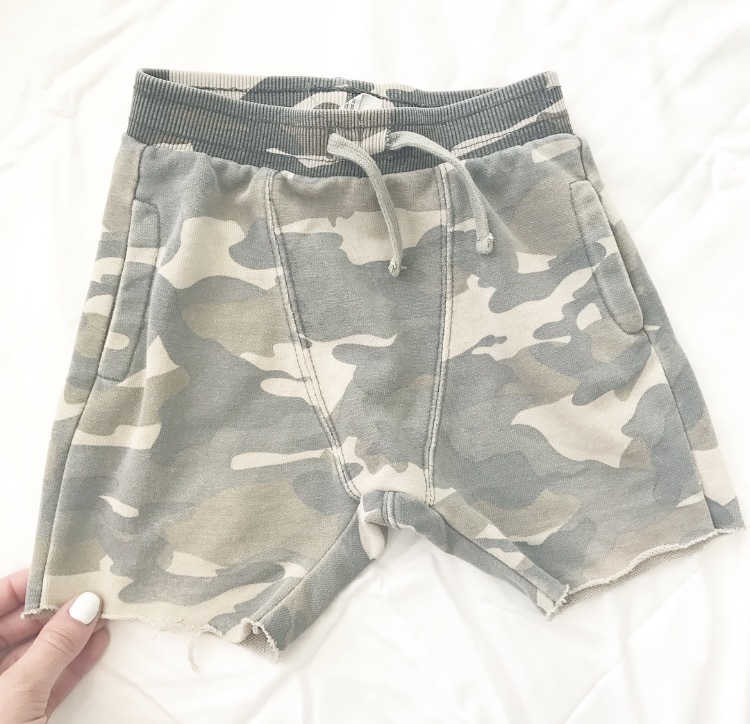 Here's a pair of Zara Camo Joggers that were too short for Hudson (plus had a hole in the knee), so I chopped them. 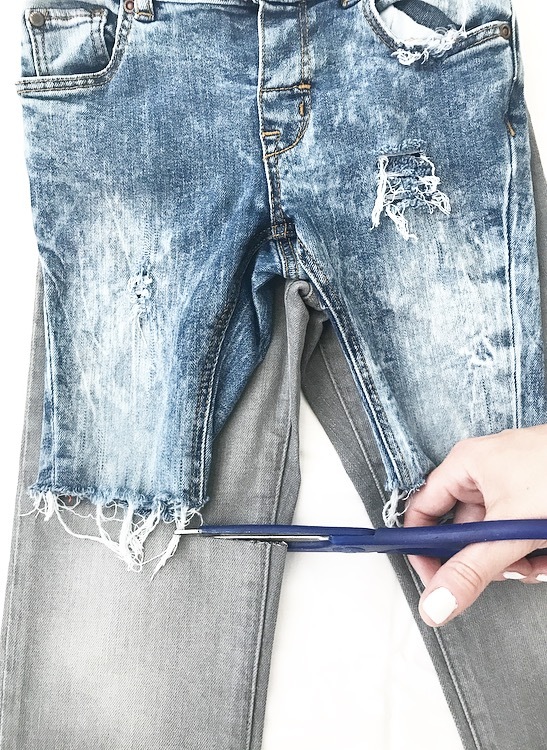 For sweats and joggers, simply measure your desired length and then cut with decently sharp scissors. Here's a pair of H&M black stretchy denim pants that are way too short on Hudson. 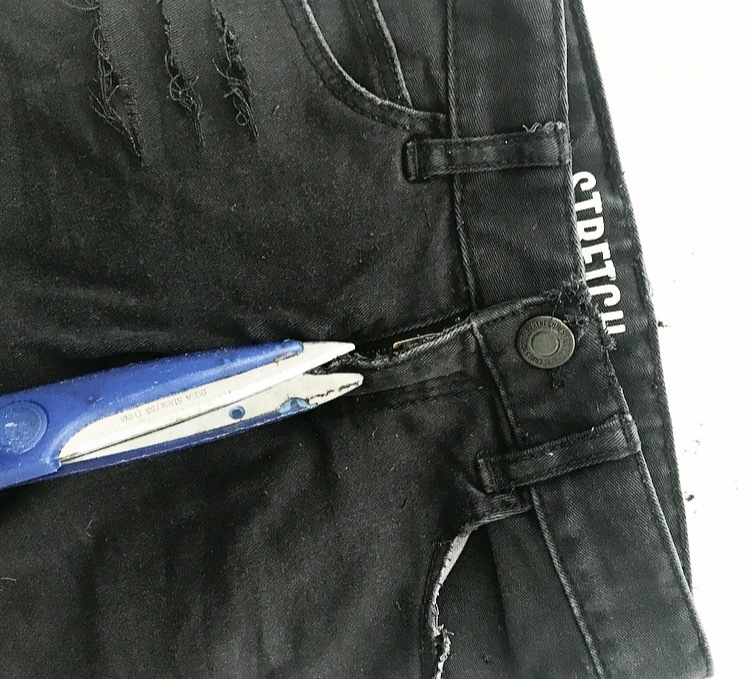 I'll go through the process with this pair, detailing how to cut and distress your own pair. 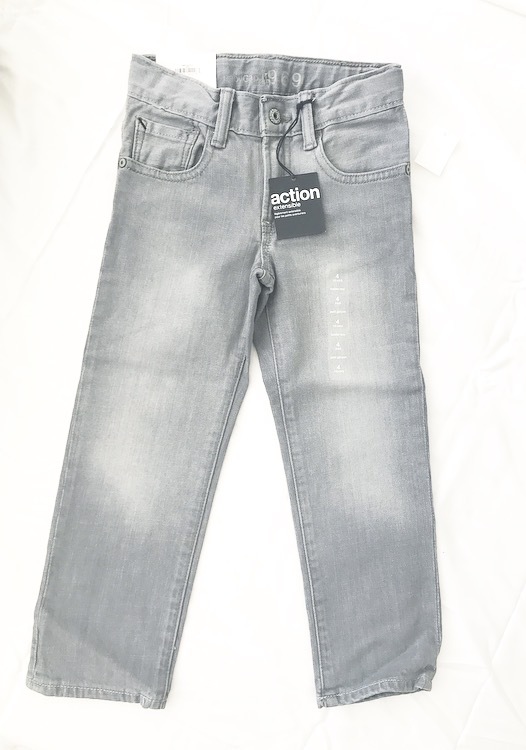 Here's a pair of straight leg Gap jeans that Hudson never wore because I didn't like how they were skinny jeans. You'll see the final product at the end. Laugh all you want but my manicure set sure gets the distressed job done well! They're perfect for picking and getting the threads exposed. 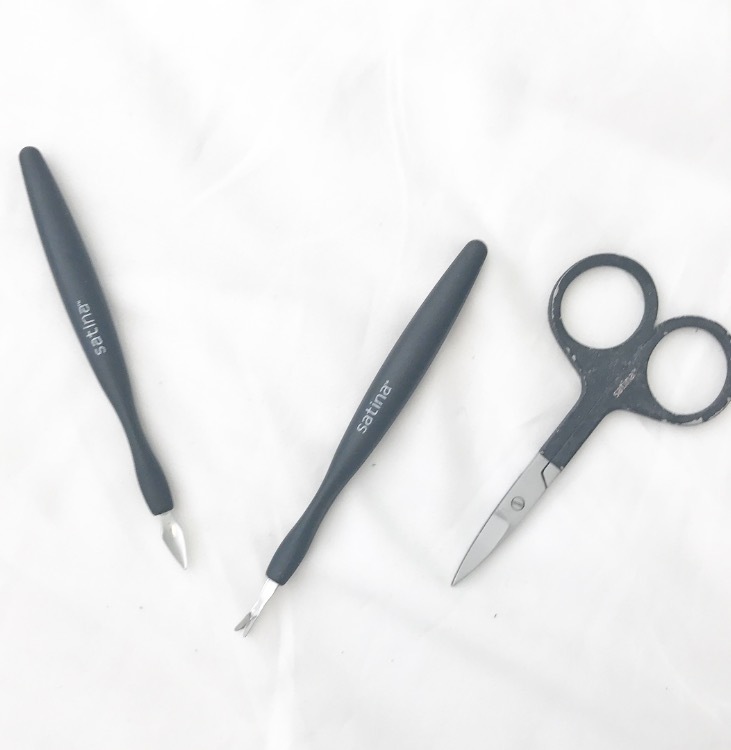 You'll also need a pair of decent scissors to make the initial cuts. 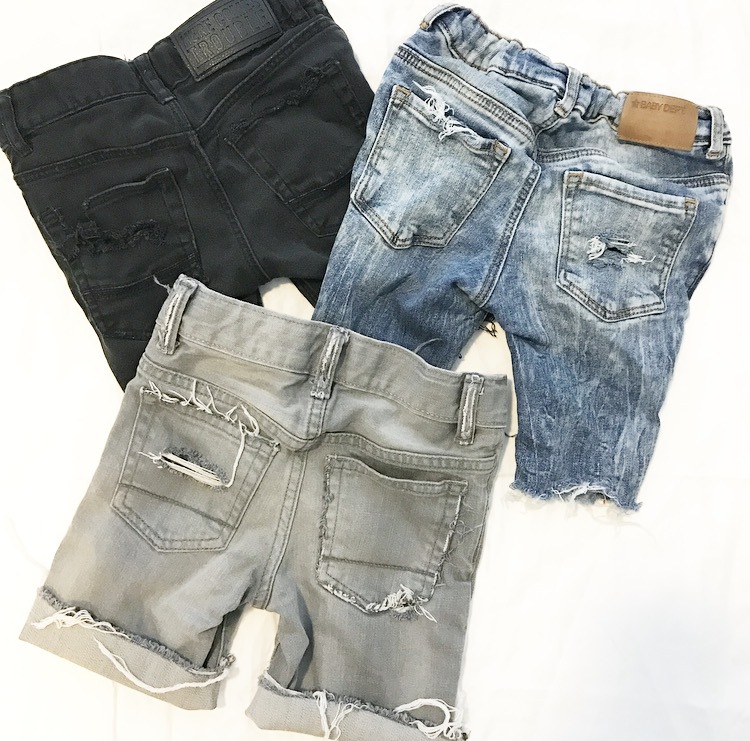 Either put the pants on your child, or use a pair of their current shorts to find a length that you want, then cut. Leave a half inch extra if you want to cuff them at the bottom. Save the scraps, because if you're not confident in distressing them, then you can practice on these. Begin distressing. I like things uneven, so if I do something to the left side, I won't do the same to the right side, and visa versa. For instance, I chopped off the seam of this pocket at the top, but I won't do the same to the other pocket. Begin picking and pulling the treads in the places you've made cuts. 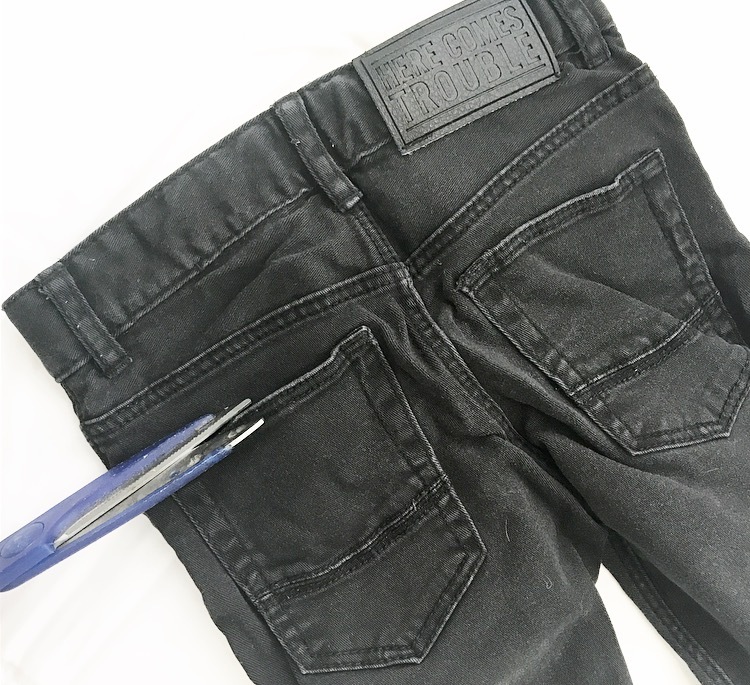 For exposed treads and cuts in the denim, slightly fold the material and make a small cut. You can then make the full cut by poking the scissors through and cutting a straight line. I like to do 3 or more cuts. Begin to pull the treads apart. Next, I go over any parts of the denim that look too "perfect". Here I cut the seam around the button and fly to create a more distressed and used look. Put your upcycled pieces in the wash for a full cycle, and then in the dryer. This will create the rugged, used look. Voila! The grey pair all done! Go try your own pair and tag me on Instagram so I can see your results! 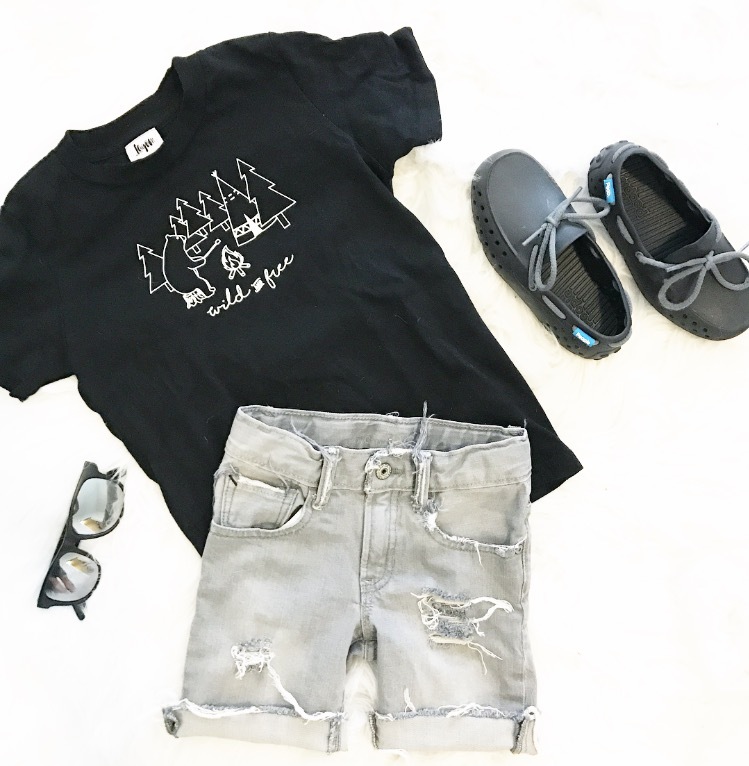 I can't wait to see your kiddies rocking their new (well, old but new) shorts!